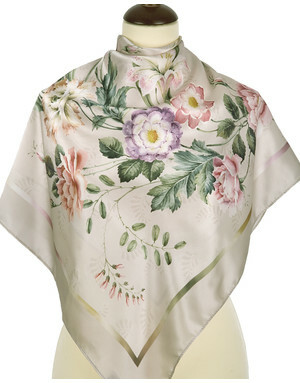 Crepe de Chine - light and luxurious silk of great durability and excellent wrinkle resistance. 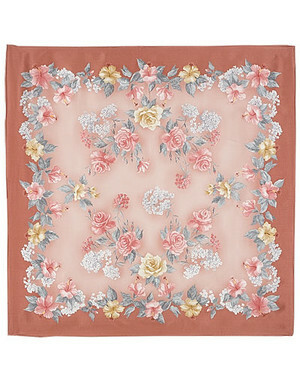 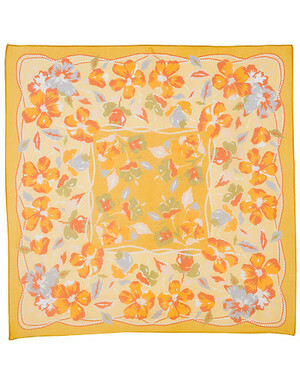 Georgette silk - fine, lightweight, silk georgette drapes fluidly and is durable. 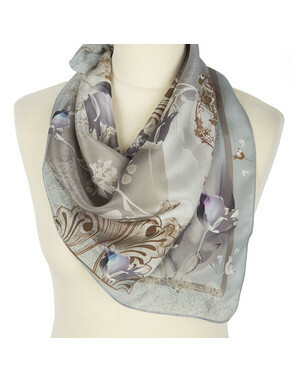 Atlas silk - shining type of silk where colour play a tricky game: grey becomes silver and yellow turns in gold. 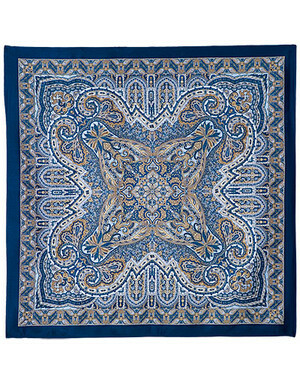 Jacquard silk features intricate patterns woven throughout the fabric. 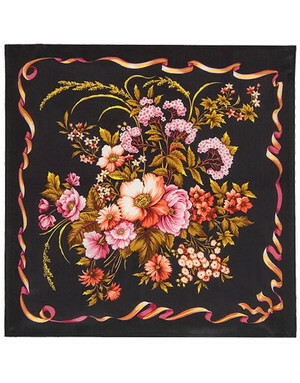 Russian silk shawls keep Pavlovo Posad traditions. 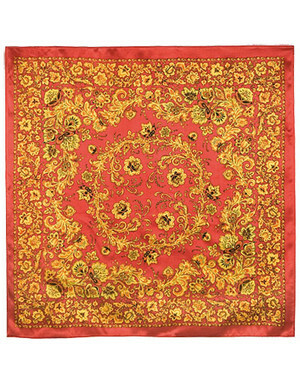 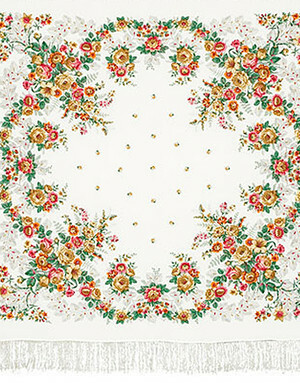 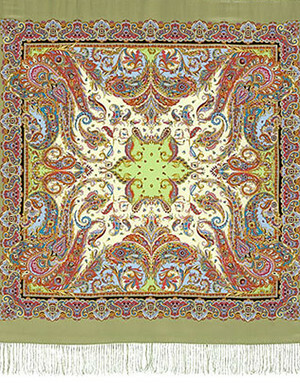 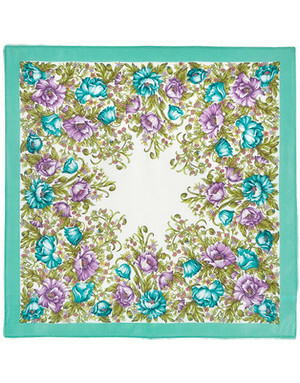 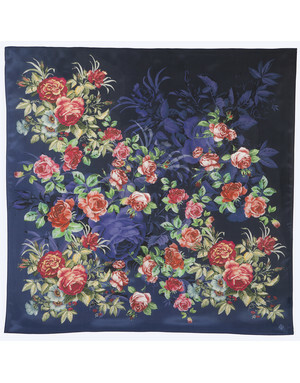 Main pattern element is a rose, minor flowers in the centre, closer to the edges flowers become bigger and wind by oriental ornaments, also known as "Turkish cucumbers", as the shawl tradition came to Russia from East. 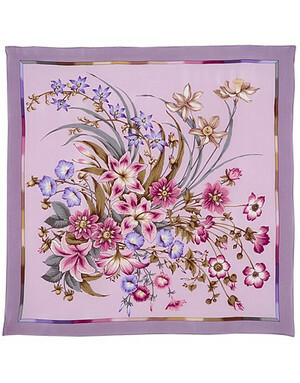 The painter can make flowers tremble, palpitate from wind breath or freeze with the first snow. 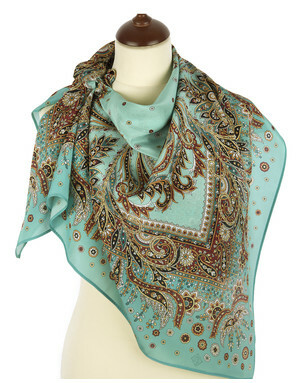 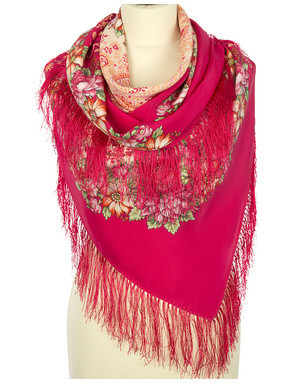 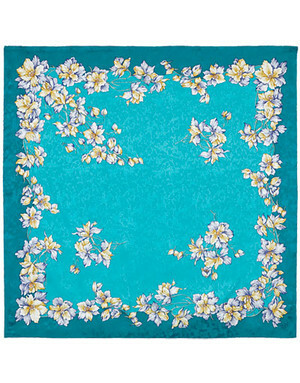 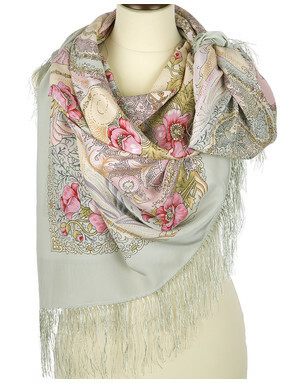 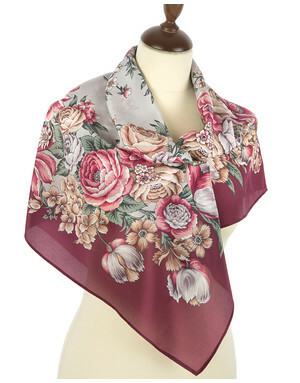 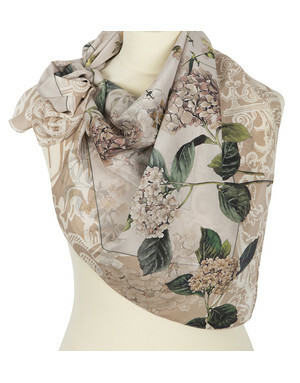 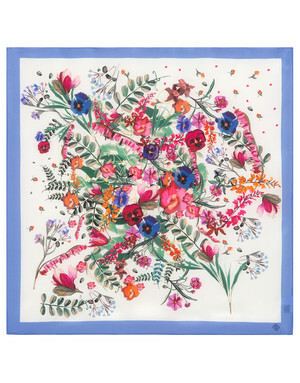 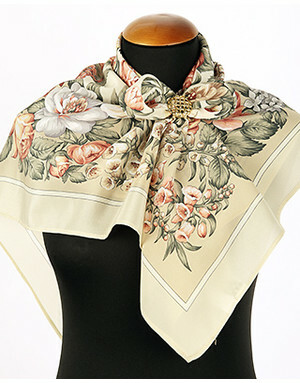 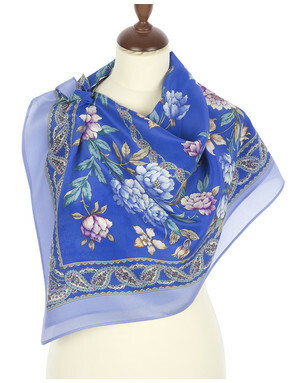 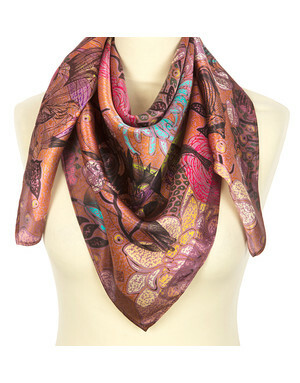 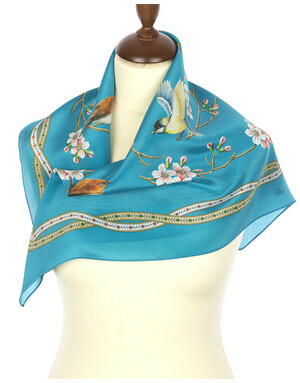 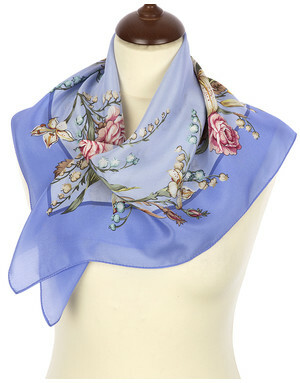 Russian silk shawls from Pavlov Posad are a piece of art that can be easily demonstrated on your neck, head or shoulders.